Some of you know Tim from his job as a dispatcher for UPS Freight. Others of you know Tim because you grew up with him in Gaffney, S.C. or maybe you met Tim at one of his daughter’s many athletic events or maybe you have attended his local church, Cherokee Creek Baptist Church, where he is a dedicated deacon and member. Tim is an amazing husband, father, and friend. And now he needs our help. Approximately 10 years ago, Tim was diagnosed with Non-Alcoholic Cirrhosis of the Liver [NASH]. Unfortunately, Tim is now in liver failure and has been told by his doctors that he is need of a lifesaving liver transplant. Not only is liver transplantation a major surgery with a difficult recovery but it is very expensive and insurance will not cover all the costs. Some of these expenses are hospital co-pays, medications, and travel and relocation expenses for both Tim and his wife Tammy, who will be taking time off from work to be his primary caregiver. Tim’s health has made him have to leave his job at the present time. As friends of the Ruppe family we can offer our help and prayers during this time. We can also help financially. 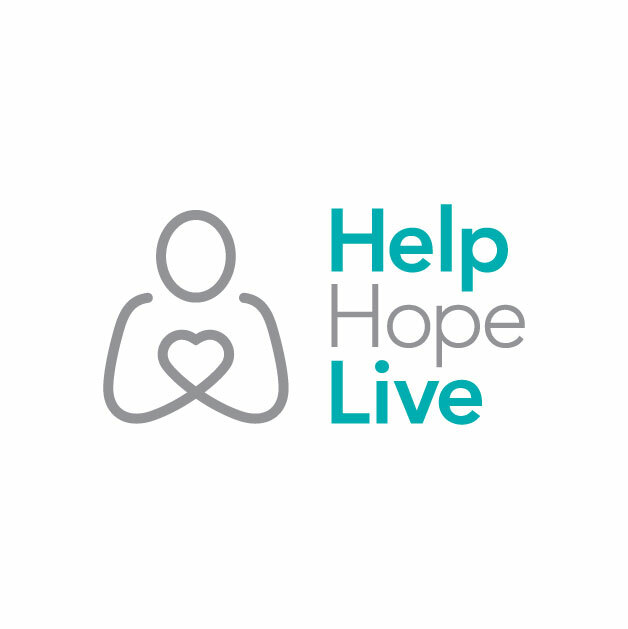 A fundraising campaign in Tim’s honor has been established with HelpHOPELive, a nonprofit organization that has been assisting the transplant community for 30 years. All donations are tax-deductible, are held by HelpHOPELive in the South-Atlantic Liver Transplant Fund, and are administered for transplant-related expenses only. Thank you for your generosity, kind thoughts and prayers. Update as of 12-21-15. I am doing well and was able to celebrate my 53rd birthday two days ago. Thanks to God and the donor that donated his liver to me back in March 2014.I am still having some liver enzyme and breathing problems but over all i am doing good and able to live a normal life. But i am still not able to work which is causing some financial stress with expensive medicine and insurance. I thank everyone for the prayers and financial help over the last year and a halve. God has blessed me with an amazing support system including each one of you. And i am trusting God to provide for me as i am trying to glorify his name everyday for the MIRACLE he perfomed in my life. Update as of 8-28-14. Felling a good bit better, I have come a long way since the transplant in March, still have problems with no energy, back pain and dizziness which are all caused by the two drain tubes in my back. Still have a small leak in the bile duct which is healing slowly. Hopefully i will be getting the tubes out in six weeks,but Gods timing is perfect and i am trusting him in everything. I would just like to thank everyone for all the prayers and financial help, it has been a blessing from God by using people such as y’all to help me during this difficult time in my life. This has been a life changing experience for me and I have a whole different outlook on life. I realize the briefness of life and my greatest desire is to please God and to serve others. Its been about four months since my transplant,i had a couple of complications after surgery that set me back a good bit,but i am thankful to God for the progress i have made thus far.Please continue to pray for me as i work to get back 100%. Great news! Tim received the gift of life – a liver transplant – on March 11. Though he experienced some serious complications, he pulled through the surgery and is slowly recovering. Your support and prayers are greatly appreciated. On Friday, November 8th, 2013 a benefit golf tournament was held to “HelpHOPELive for Tim Ruppe” at Deer Brook Golf Course in Shelby, NC. The day was beautiful and sunny, a little cool that morning, but the sun was shining and warmed up nicely throughout the day. The tournament was a HUGE SUCCESS due to everyone involved. I want to thank each & everyone personally who participated. Several of us started planning this event around the first of August and there were numerous hours spent contacting local businesses, contractors, and vendors in the area. The support & donations was amazing. Without the hard work and dedication of these friends & businesses we could not have reached these outstanding results. We had a total of 28 teams that played, numerous volunteers who set up hole sponsor signs, signed teams in, provided hotdogs/hamburgers & drinks. With the help of all the volunteers this tournament was a tremendous success. We also had numerous hole sponsors who made tribute gift donations and door prizes. Again, words cannot express enough thanks for all of your support & generosity from all the players, volunteers, and sponsors. Please take a minute and look at the photos from the golf tournament that is downloaded on this website. Thanks to the photographers who did on outstanding job. All the proceeds raised from this tournament will go to HelpHOPELive to provide out of pocket medical & travel expenses occurred before, during, & after Tim’s transplant. I can tell each of you that Tim & Tammy, as well as myself, have been blown away with all the generosity and prayer support that has been provided to them during this very difficult time in their life. Update on Tim’s upcoming transplant and condition. On Tuesday October 1st Tim was officially put on the liver transplant list. The estimated time frame to receive his transplant from his doctors in Charleston is 6 to 9 months but as we all know his transplant will come when God decides it is time. Since being put on this list he has continued to lose energy and he is very tired. Tim is having lots of swelling due to fluid buildup in his body due to his liver failure and he is having fluid drained every 2 – 3 weeks. He is now waiting for his doctors to schedule a procedure to place a shunt/stent in his blood vessels near the liver to bypass a portion of blood that’s passing through his liver. Doctors say this will increase his energy level and help with the fluid buildup. Please continue to pray for a successful transplant and recovery for Tim and also strength & patience during this waiting period. God is in the business of providing miracles each and every day as he shows us his mercy and kindness. To all involved in any way with this tournament, I would like to express my sincere thanks and appreciation for what has been done for my brother, Tim Ruppe. The tournament more than doubled my expectations!!! WOW what a Great Day!!! God is so Good! May God Bless each and every one of you for your thoughtfulness and kindness! Timmy, Our prayers are with you every day. My church, Haven of Rest Baptist is still praying for you. I know God is with you, Tammy & Cayce. I want to share my favorite verses with you, Proverbs 3:5-6. These Scriptures from God kept me going with Kathy's sickness. Hang in there! We love you and Jesus loves you too. God Bless! Timmy: We keep you in our prayers each day and know that God is with you and Tammy in this situation. He will never leave you and all things happen for a reason. God is good all the time, all the time God is good. He is our strength and salvation. You are such a strong man of God, and you live it whether you are feeling good or not. I pray that He will continue to bless you and in His own timing He will give you a liver that your body will accept. We love you. Ephesians 3:14-21 Prayer for Spiritual Strength 14 For this reason I bow my knees before the Father, 15 from whom every family  in heaven and on earth is named, 16 that according to the riches of his glory he may grant you to be strengthened with power through his Spirit in your inner being, 17 so that Christ may dwell in your hearts through faith—that you, being rooted and grounded in love, 18 may have strength to comprehend with all the saints what is the breadth and length and height and depth, 19 and to know the love of Christ that surpasses knowledge, that you may be filled with all the fullness of God. 20 Now to him who is able to do far more abundantly than all that we ask or think, according to the power at work within us, 21 to him be glory in the church and in Christ Jesus throughout all generations, forever and ever. Amen. (ESV) Timmy, I read this scripture today and wanted to share with you! Praying for God to strengthen you spiritually during this time! Love you brother!! Tim, Tammy and Cayci, praying for you all during this time. God is the great healer and I believe he will show his miracles in your life. Love you guys! Love you and your precious family so much. I'm here for anything ya'll need. Dear Timmy, Tammy, and Caycie, your faith in our Lord Jesus is inspiring. We love you and are praying daily for a successful transplant. Thanks for showing us how to exercise our faith in the Lord Jesus Christ. Thanks for your leadership in the Kingdom of God. You lead by example, which is an extremely rare trait to find these days. God on Ya. Keep the faith and continue to be very courageous.